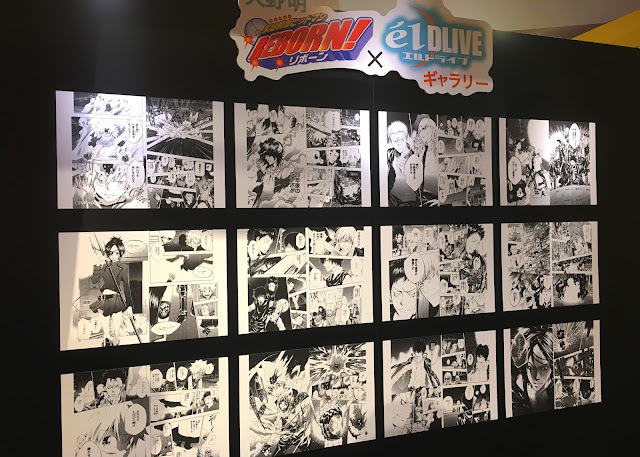 So overall I would say this event was a bit underwhelming, but since I personally got into Reborn 5 years after the anime and manga had ended, I was still happy to see it. 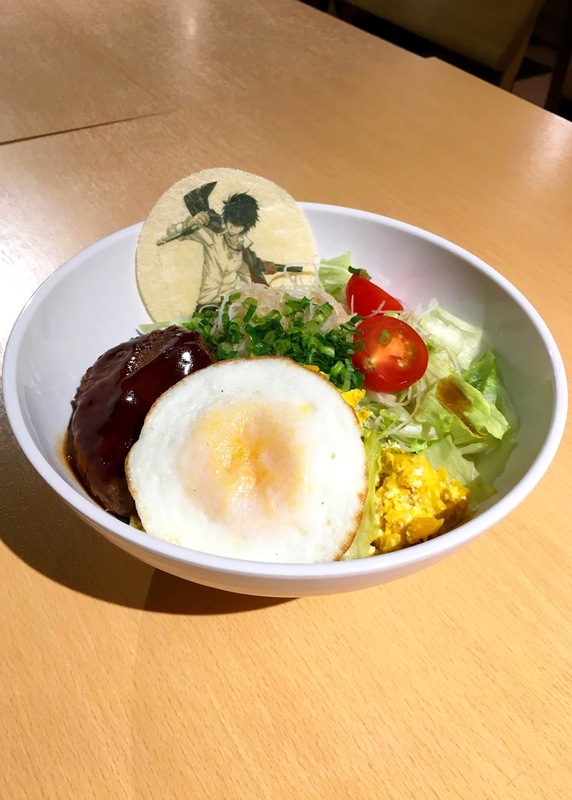 My main focus was on the food, since apparently my hobby is now anime food. Here's the menu for the event! I think they were trying to go with an Italian theme with some of the food. Makes sense for a show about the mafia. I actually had to make several trips to J-World in order to eat all the menu items I was interested in, but since it was for Hitman Reborn I didn’t really mind. A well-known fact amongst my friends is that I utterly despise tomatoes, mayonnaise, and seafood and I cannot consume caffeine without being unable to sleep for days as well as getting painful headaches, so about half of that menu appeared to be inedible for me. So for anyone who does not know this, I love Gokudera Hayato. He is just so perfect and I just love him so much. 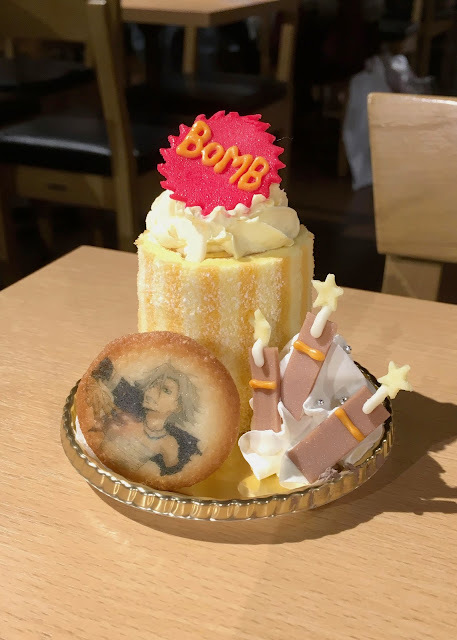 I really liked the image of this cake because it kind of looks like his signature dynamite, and I like that they also included smaller dynamites. 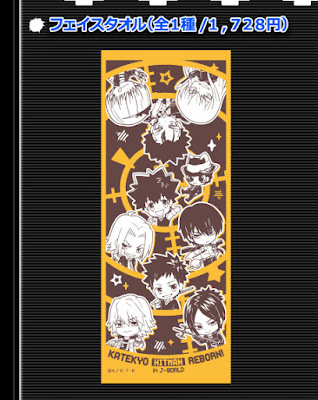 Also 10/10 including a battle worn mostly shirtless Gokudera. So I ate this cake months ago without ever actually reading the name of the food. 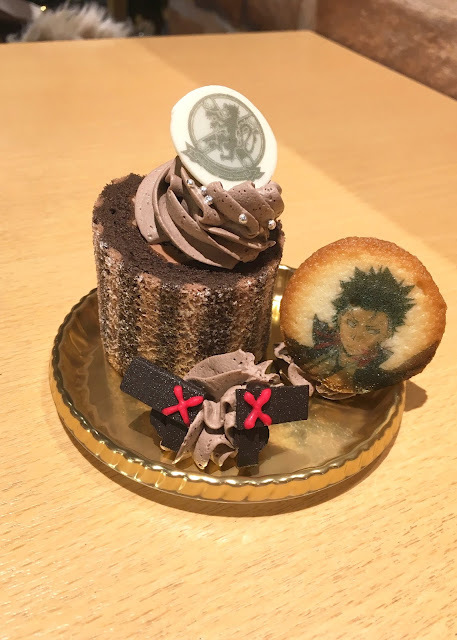 I thought it was delicious and strange, but I wouldn't mind eating it again, which was shocking because I thought it was a banana cake and banana's one of those weird flavors that you either love or hate. So, for a banana cake, I thought it was delicious. For a mango cake, I think it tastes like a delicious banana cake. I also thought that as a flavor banana did not really suit Gokudera, but I guess mango does suit him a little better. I would have preferred a spicy chocolate for him. 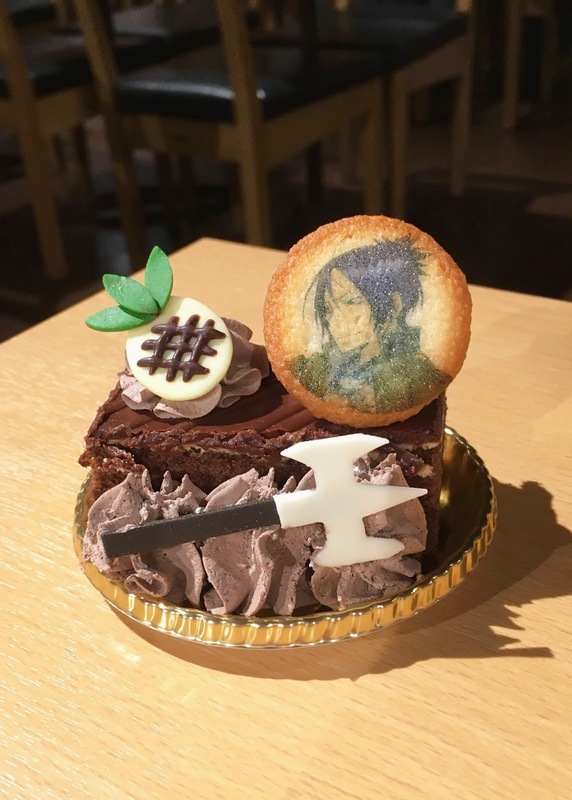 This cake was good. 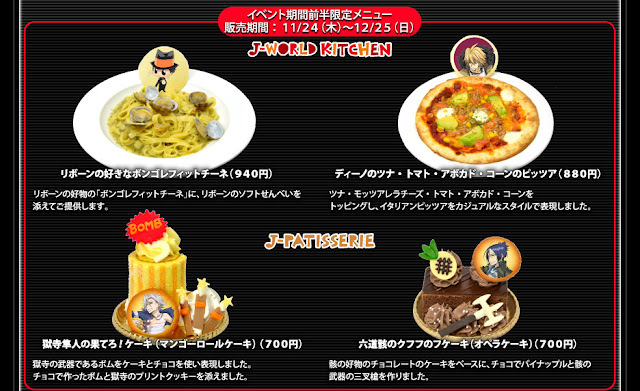 J-World makes a good chocolate cake. 10/10 would eat again. This pineapple headed jerk right here. This was the heaviest meal in protein I have ever had in Japan. It was not horrible, but it was a heavy meal. It was a burger patty with a fried egg, what I think was an egg mixed in pumpkin, a salad, thin glass noodles, and huge amounts of rice under it. This was a chocolate roll cake! It was pretty good. I really liked the gun and crest details on the decorations. 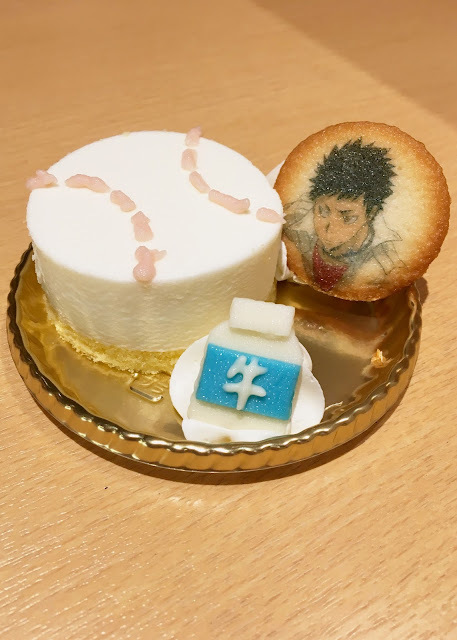 So this was the baseball loving idiot's cake! 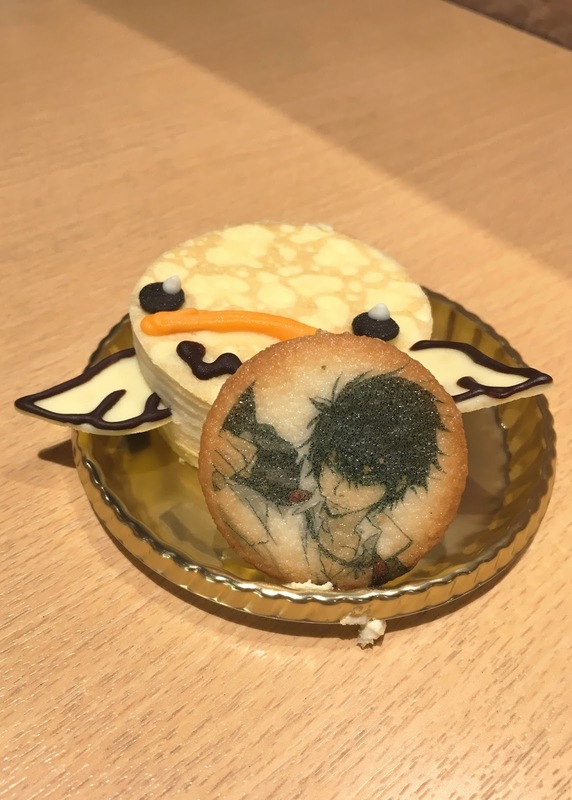 They called it a rare cheesecake, but when I ate it I thought it was a yogurt cake of some sort. The baseball look was simple but perfect for Yamamoto. This was the best crepe cake I have ever had. I have kind of lost my faith in crepe cakes because I have had so many bad experiences, but this lifted me up to feel even greater disappointments in the future because this cake was amazing. Overall, I would say that everything I tried was pretty delicious, and the Hibird crepe cake was probably the best crepe cake I have ever had in the entire world and I think it should be a regular feature at their patisserie rather than an event limited item, which is saying something because I had actually given up on crepe cakes completely. It might be the best thing I’ve ever had from J-World. 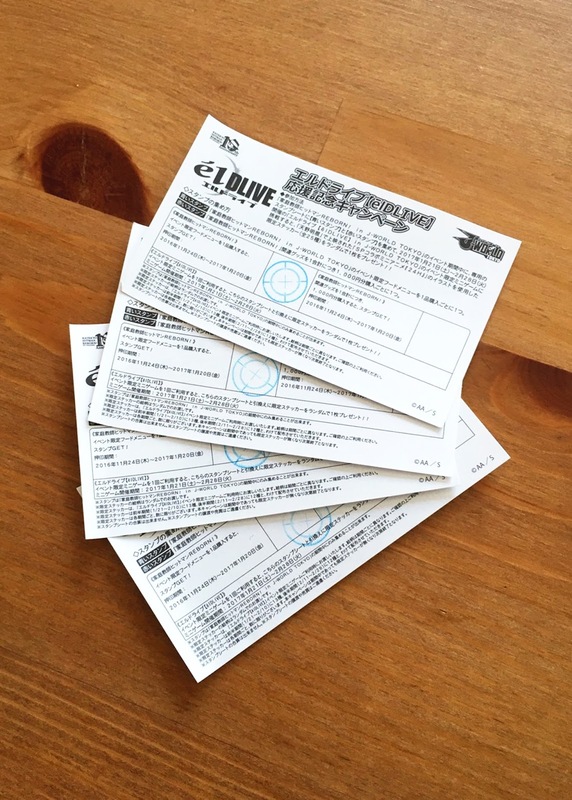 With a lot of the special exhibits, they give you some kind of point card for when you buy food or merch. 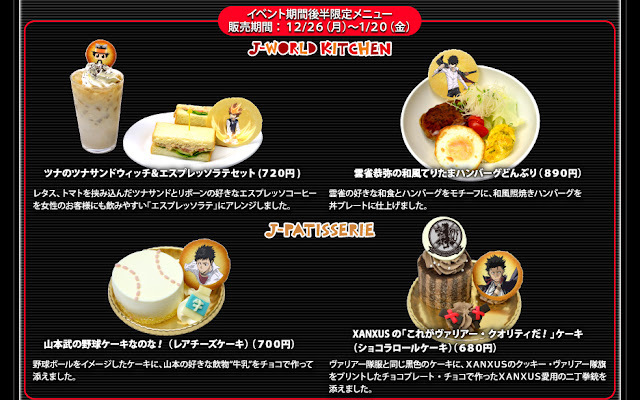 This one required that you buy at least one food item and one piece of merch from the J-World store in order to fill it up, and then come back after the exhibit had ended to collect your sticker prize. I actually filled up two but I have lost them. That may or may not be a part of their ploy. 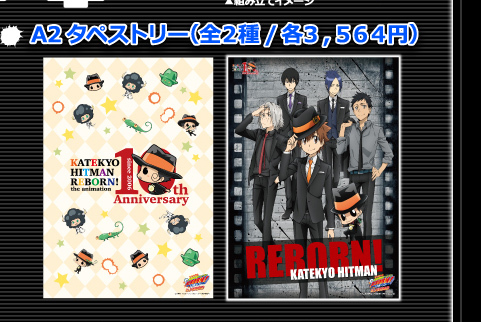 My boys in their suits. Bless. The exhibit itself was rather underwhelming, like I said before, I’m just happy to see it at all. They had standees for all the Vongula guardians in their suits, which I have some next level appreciation for. Since I’m not really much of a merch person, I didn’t try any of the carnival games to win any of the merch, but they looked alright, but not particularly fun. They also had an exhibit of some of the manga panels, but since they weren’t the originals I wasn’t too particularly fixated on those. 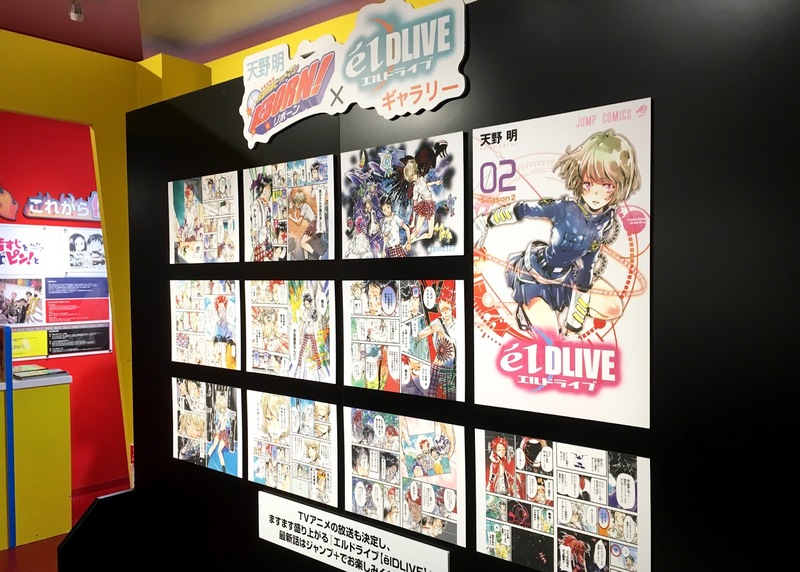 Now while I mentioned that I’m not much of a merch person, but I did actually buy some merch from this exhibit, and if they have more the next time I go, I will probably buy some then too. 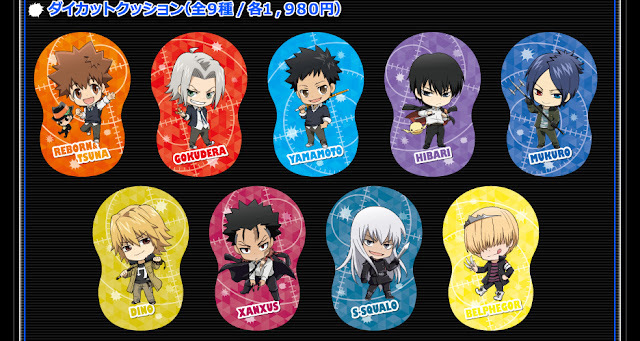 I got the Gokudera(my boy) and Tsuna(my son) keychain standees. They cute af. They also had pillows, clear files, and wallscrolls. 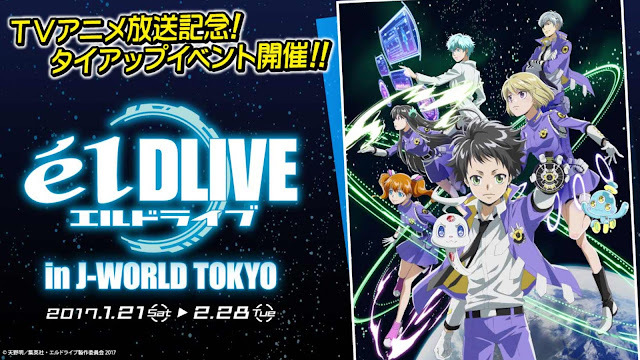 So this event was really to promote the new work by the same author called elDLIVE, and J-World currently has an event for it going on now! Since I haven't started that series yet there's not much I can say about it, but given how much I loved Hitman Reborn, I would definitely say it would be worth checking out! 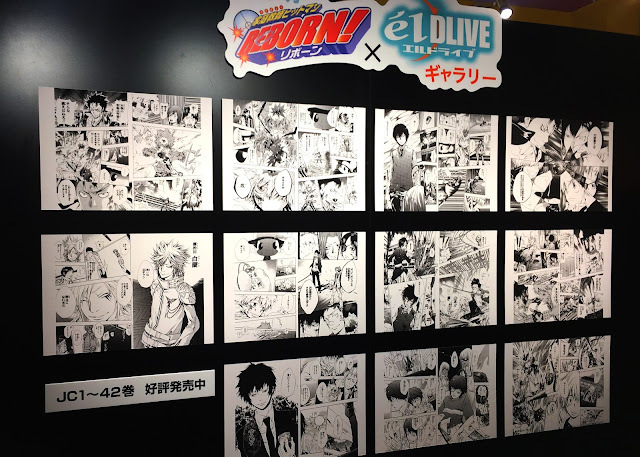 If you are a fan of elDLIVE and have a chance to make it to J-World in Tokyo, I think it would be worth checking out this exhibit! 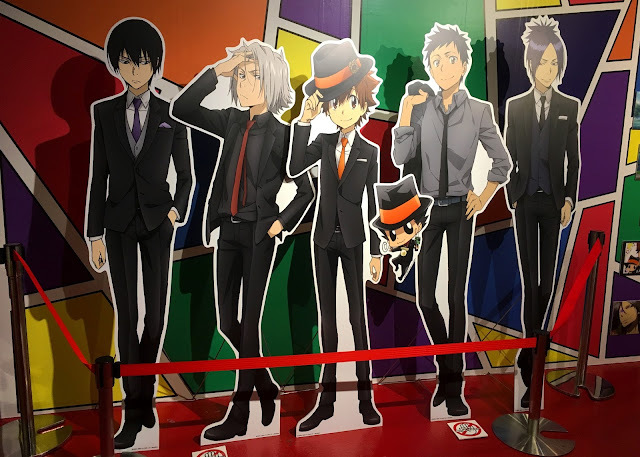 Overall I enjoyed this event and I would make an effort to go to other Hitman Reborn events and I hope they have more in the future! 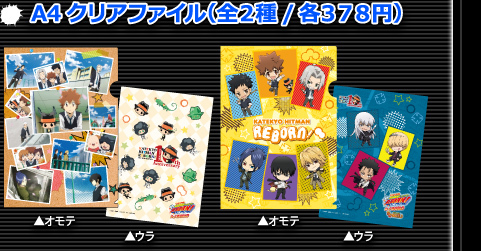 Please make a Hitman Reborn movie. I need to see my sons again.